• The World S First Wide-Range Specific Gravity Meter That Takes Its Reading From 6 Inches Below The Surface. • Every Unit Is Pre-Calibrated and Individually Tested For Guaranteed Accuracy. • Easy To Use With A New, Revolutionary Self-Leveling Feature. Durable construction for long life. 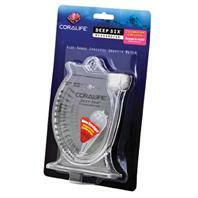 Energy Savers Unlimited - Deep Six Hydrometer - 11 Inch product is categorised under Wholesale Energy Savers Unlimited products, Wholesale Aquarium Products, Wholesale Accessories.